Zuul Lite is just like Zuul Pro. Only free-er. And without WooCommerce, Easy Digital Downloads, and Restrict Content Pro support. Want to test drive Zuul Pro? Give Zuul Lite a download on WordPress.org and when you’re ready come back and upgrade to Zuul Pro. Need help upgrading? With Zuul Pro you’ll get access to premium support to help you get going fast! With Zuul Lite you still get a custom homepage, customizer controls, and support for Jetpack’s Testimonial and Project post types. When you upgrade to Zuul Pro you’ll get a theme ready to take your side hustle or small business to the next level. Open a multi-channel store with WooCommerce support and sell both physical and digital goods. Only offering digital goods and services? Then take advantage of Easy Digital Downloads support and easily add products to your custom homepage. 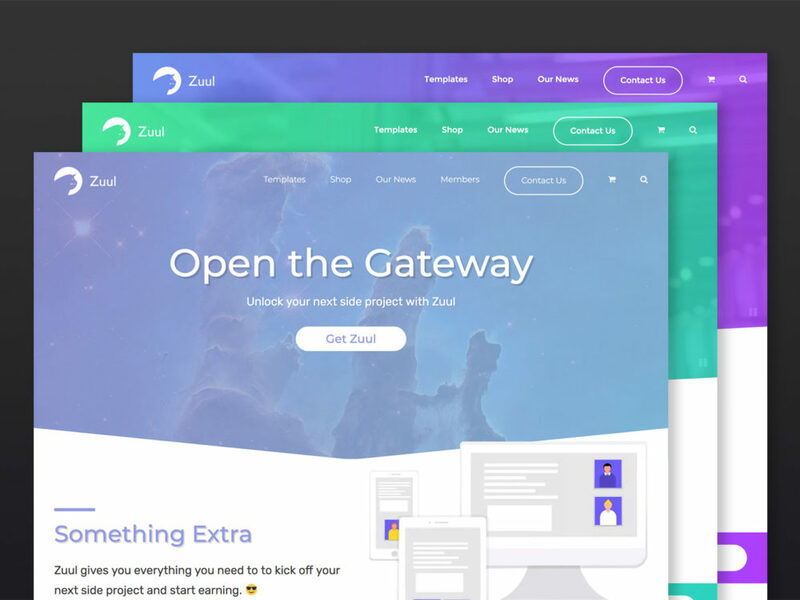 Speaking of the custom homepage, Zuul Pro gives you a customizable featured section and callout on the homepage so you can drive users to exactly where you want them to go.